Kyrgyzstan is not ready to join the Customs Union of Russia, Belarus and Kazakhstan, as political issues dominate the domestic agenda. 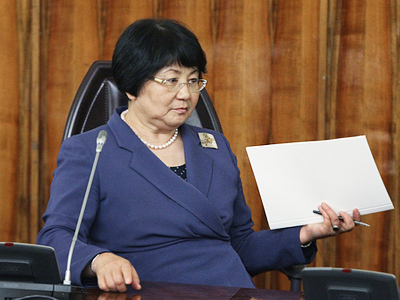 ­There are a number of objective reasons why Kyrgyzstan should join the Customs Union, Interim President Rosa Otunbaeva has said. But she stressed that the country has not yet calculated all the possible advantages and minuses of the move. In any case, the decision will be taken by the government, the president noted. But the most important obstacle for taking this decision lies in the political arena. All parties and movements have already started preparations for the presidential elections due to be held in November. This hinders any work regarding possible joining the Customs Union, Otunbaeva told reporters in Bishkek on Thursday. The interim president, who will not run in the election herself, predicts the appearance of “unexpected figures” on the political stage, including “forgotten” ones. 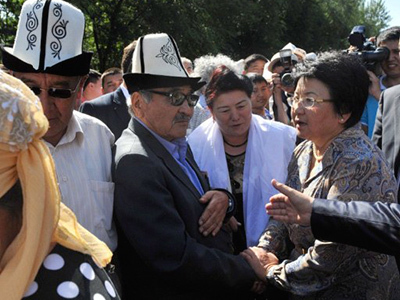 Kyrgyzstan’s parliament has not yet adopted a presidential election bill. The only reason is a shortage of money, Otunbaeva explained. It is difficult for the country’s budget to cope with the sum allocated for elections – more than $10 million. Bishkek may seek donors’ assistance to hold the polls within the set timeframe. The authorities in Kyrgyzstan are also planning to hold political consultations with Russia. Otunbaeva reached an agreement to hold such discussion with Russian President Dmitry Medvedev during the Shanghai Co-operation Organization’s summit in Astana on Wednesday. 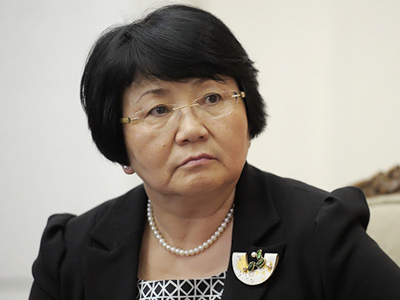 The Russian president was interested what was going on in Kyrgyzstan ahead of the presidential elections, Otunbaeva said. Meanwhile, the opposition Ar-Namys faction in the parliament proposed on Thursday that the constitution should be amended. The group is demanding that the powers of the president, parliament and the prime minister be clearly divided. Kyrgyzstan replaced the presidential republic with the parliamentary democracy following the overthrow of former President Kurmanbek Bakiyev in April 2010. Meanwhile, a parliamentary commission examining the reasons behind inter-ethnic clashes that happened in the south in May-June 2010 instructed the Prosecutor General’s Office and special services to bring Bakiyev, who had fled to Belarus, and his relatives to Kyrgyzstan. Deputies say these people were responsible for the conflict between ethic Uzbeks and the Kyrgyz people and the riots that took place in April 2010. 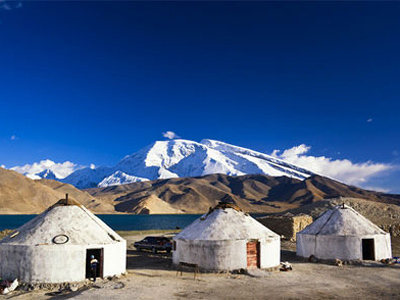 However, the commission said the Kyrgyz provisional government that replaced the Bakiyev regime in April 2010 was also politically responsible for failing to prevent the clashes.